Shorts weather is right around the corner—and while we relish the feel of sunshine on bare skin, we’re less than enthralled by what heat and humidity do to hair. If you’re a curly girl, summer (aka the season of bad hair days) probably turns your hair into a poofy mess. Straight-haired individuals have to deal with frizz and flyaways. And if you have processed, damaged hair? Forget it. Fortunately, here at Scott J, we’ve rolled out a cutting-edge smoothing treatment that leaves hair silkier, shinier and healthier than before. It’s called Cezanne, and it’s a great way to zap frizz and add luster to any hair type. Best of all, it doesn’t contain formaldehyde, a carcinogen found in many popular straightening treatments. 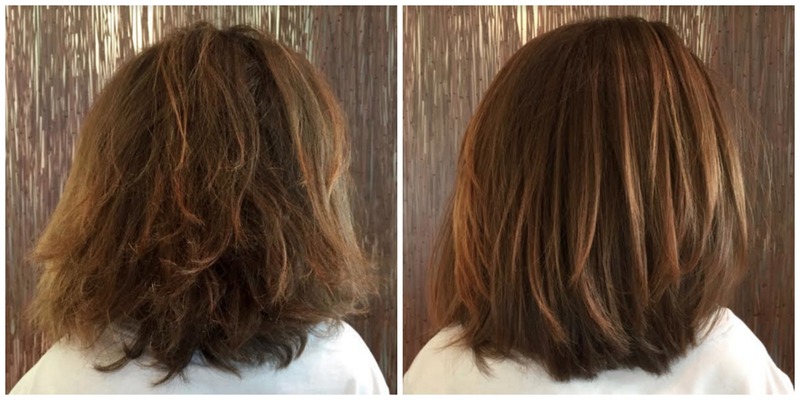 Master Stylist Richard Diorato weighs in on Cezanne smoothing treatments: How they work, what makes them so gentle, and why they’re the treatment for summer…and beyond. So what exactly is Cezanne? Cezanne is safe even for damaged hair. It’s the same pH as lemon juice, so it lifts the cuticle only a small amount, allowing nourishing ingredients to penetrate hair without incurring damage. In fact, Cezanne leaves hair in better condition than it was prior to the treatment. Cezanne also strengthens thin, straight hair that breaks near the shoulders, allowing it to grow longer. And it doesn’t matter how many chemical processes you’ve had in the past—or what you’re planning in the near future. Cezanne is a good add-on for any salon service. “You could perform a color service immediately afterwards. There is no downtime,” Richard says, adding that you can shampoo hair or put it into a ponytail right after Cezanne, which isn’t the case with other smoothing processes. A classic Cezanne treatment lasts for three to five months, and an express Cezanne treatment lasts four to six weeks. Results are best maintained with use of a sulfate-free shampoo, and they fade gradually over the course of weeks—without leaving a harsh line of demarcation. 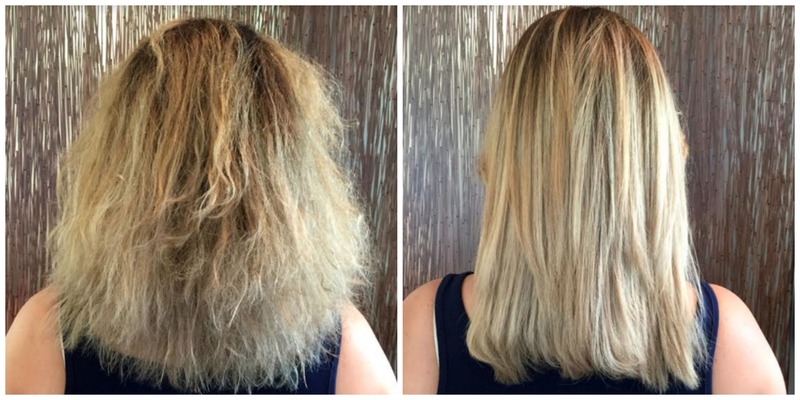 That makes Cezanne a good choice for women who are transitioning from chemical straightening to their natural texture. And the more Cezanne treatments you get, the more your hair’s condition is restored. Richard’s favorite thing about Cezanne is the fact that it doesn’t contain ingredients that are harmful to clients or staffers. Cezanne doesn’t require the use of a mask or gloves—it’s that gentle. Cezanne treatments are available at all Scott J locations (and Richard has trained each Cezanne-certified stylist himself). Make an appointment and take a walk on the smooth side.